A native of Staten Island, Jim Albus was a gifted athlete and successful baseball player at Bucknell University. He came to golf late, turning professional at age 28. He began his club professional career at LaTourette on Staten Island before moving to Piping Rock Club in 1978. Jim dominated the local scene winning the Long Island Open, Long Island PGA, Dodge Open and Nissan Classic, New York State Open, two Met Opens and two Met PGA Championships. He also played in five US Opens and seven PGA National Championships. He was Met PGA Player of the Year in 1981, 1982, 1986 and 1988. While still serving Piping Rock, Jim launched his successful PGA Senior/Champions Tour career by winning the 1991 Senior Players Championship (a senior major) one of six tour victories. Albus was named the Met Section and the PGA of America’s Professional of the Year in 1990 and was the Sam Snead Award recipient in 2005. A Scottish immigrant to the United States who became the first golfer to win four U.S. Opens, with victories in 1901, 1903, 1904, and 1905. He is still the only man to win three consecutive titles, and only Bobby Jones, Ben Hogan, and Jack Nicklaus have equaled his total of four championships. In the 14 straight Opens that he played, Anderson won four, was second once, third once, fourth twice, fifth three times, 11th twice and 15th once. Anderson was an original member of the PGA Hall of Fame, and was inducted into the World Golf Hall of Fame in 1975. Jim Barnes turned professional in 1906 and became known as "Long Jim" for his height of 6 feet 3 inches. Barnes won four majors including the very first PGA Championship at Siwanoy in 1916 as well as the 1919 PGA, the U.S. Open in 1921, and the British Open in 1925. Barnes' two PGA titles were the first in the event; there was no tournament in 1917 or 1918 because of World War I. His winning margin in the 1921 U.S. Open was nine strokes, a record which was not broken until the year 2000. 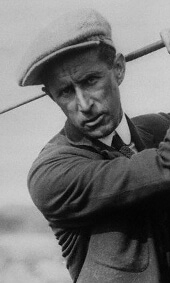 Barnes was one of the most prolific tournament winners of the first few seasons of the PGA Tour, which was also founded in 1916. He won 21 times on the tour in total. In 1940, Barnes was honored as one of the 12 golfers to be inducted in the PGA's inaugural Hall of Fame. In 1989, he was inducted into the World Golf Hall of Fame. Barnes also worked in the Met Section including a stint as the professional of the now defunct Rockwood Hall Club in Tarrytown. Herman Barron was born in Port Chester, New York. He was one of barely a dozen professional golfers who earned their living as touring professionals in the 1930s and 1940s. His first professional win came at the 1934 Philadelphia Open. He would go on to take the Met PGA Championship in 1937. On February 8, 1942, Barron became the first Jewish golfer to win an official PGA Tour event by winning the Western Open. During one three week stretch, he won the Philadelphia Inquirer Open, finished fourth in the U.S. Open, and won the All-American Championship at Tam O'Shanter in Chicago. He also won the 1954 Westchester Open and the 1963 Senior PGA Championship. Barron played on America's victorious 1947 Ryder Cup team. He then held the position of head professional at the Fenway Golf Club for 15 years. He is also enshrined in the Westchester Hall of Fame. 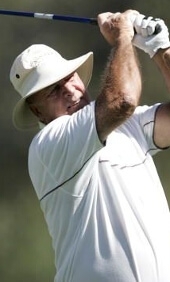 A 48-year member of the PGA of America and a Master PGA Professional, Gene Borek served the game, the Association and his memberships with unprecedented distinction. Gene was inducted into both the Westchester County and Yonkers Halls of Fame as well as one at the Metropolis Country Club where he served his final 25 years until his retirement in 2005. He not only was a former Met PGA Player of the Year but he also won almost every Section Award during his career. His list of achievements included three of the Met PGA’s highest honors – Professional of the Year in 1972, Teacher of the Year in 1996 and the Sam Snead Award in 2003. As a player he was perhaps best known for his course record 65 at Oakmont in the 1973 US Open (broken two days later by the Champion, Johnny Miller). No stranger to major championships, Gene played in a total of 11 PGA Championships, 10 US Opens, 10 PGA Senior Championships, 5 US Senior Opens and on 4 PGA Cup Teams. He won tournaments around the world but took special pride in the local titles he earned including three Met PGA Section Championships, three Long Island PGA’s, two Westchester PGA’s, two Long Island Opens, one Westchester Open and three MGA Senior Opens,. Gene also won the PGA National Stroke Play title (twice) and the PGA National Match Play Championship once. In addition to Metropolis he served the memberships of Sunningdale and Pine Hollow during his illustrious career. Even in a Section as rich in playing talent as the Metropolitan PGA, perhaps no professional was as dominant a player as Al Brosch. 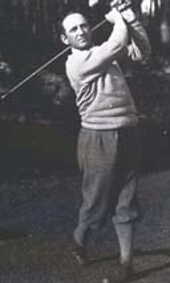 The bespectacled and gentleman professional who served at Bethpage, Cherry Valley and Sands Point (where he ultimately finished his career), Brosch holds the record for both victory totals of the Long Island Open and the Metropolitan PGA Championships. He won his first Long Island Open in 1939 at Wheatley Hills before starting an incredible run in 1946 when he won his second LI Open title, and the first of six consecutive wins in that event. Even after his win in 1951 at Plandome, he was far from finished adding three more victories in 1953, 1956 and finally in 1959 at Rockville. Brosch was also a 6-time winner of the Met PGA Championship, dating from his first win in 1938 and including titles in 1941, 1947, 1950, 1952 and his final triumph in 1959. His 59 in a tour event at Breckenridge Park in San Antonio is another feat that has stood the test of time. Brosch was honored in 1975 as the Met Section’s second Sam Snead Award recipient for his contributions to golf, the PGA and the Met Section. 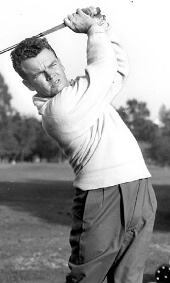 Jack Burke, Jr. turned professional in 1940. After serving four years with the Marines during World War II, he resumed his career in golf as a teaching professional in New Jersey. That was followed by a position as an assistant at Winged Foot Golf Club, where he was mentored by Claude Harmon. Burke eventually went on to become the head professional at Metropolis Country Club. He won the Met Open in 1949 at Metropolis, beating Gene Sarazen. 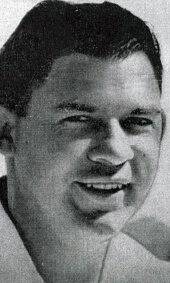 Burke notched two lopsided victories in the 1951 Ryder Cup matches and was subsequently selected for the 1953, 1955, 1957, and 1959 teams. 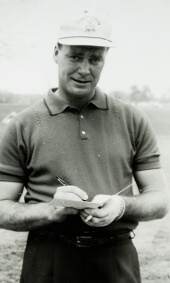 Burke won 16 PGA Tour events in his career, including the 1956 Masters and PGA Championship. He won the Vardon Trophy in 1952, a season in which he won four straight Tour events and was selected PGA Tour Player of the Year four years later in 1956. 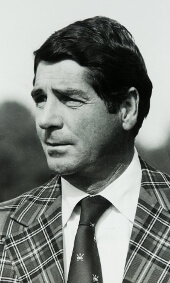 Jack Burke became the fifth recipient of the PGA Tour Lifetime Achievement Award in 2003, and was inducted into the World Golf Hall of Fame in 2000. Known more for his leadership qualities, Frank Cardi’s golf accomplishments date back to his teen and college years. He won the Ohio Amateur at age 18, and attended Ohio State where he captained their golf team and won the 1954 Big Ten Championship. In the Met Section he was a strong player (runner-up in the LIPGA three times) but quickly became involved in governance. He held every office on the Section level, including the Presidency from 1966-1968 while serving as the head professional at Rockaway Hunting Club. From there he moved to Apawamis Club in Rye and during his tenure there became more and more involved in National PGA politics. He campaigned for President of the Association in 1972 (eventually withdrawing) but was elected to office in 1974 and served as an Officer through 1982, including two years as President in 1979 and 1980 and his final two years as Honorary President. Cardi’s greatest accomplishments included expanding playing opportunities, improving the educational programs and finalizing the plans for PGA National in Palm Beach Gardens. He was the Met PGA Professional of the Year in 1968, the Horton Smith Nominee in 1974 and the Sam Snead Award recipient in 1983. Pat Cici began his golf career as most professionals did in the 20’s and 30’s as a caddy, first at Salisbury and eventually at Meadow Brook. He became an assistant at Meadow Brook in 1940 before moving back to Salisbury Links as their head professional for a decade starting in 1941. Cici later eventually owned his own range and was the head professional at both Lido and Cedar Brook. Known for his long driving, Cici was a solid player with wins in both the Long Island Open in 1941 and the LIPGA in 1947 and 1949. He was also runner-up in the LIPGA 3 times and the Met PGA once (to Al Brosch in 1947). Pat also amassed an impressive record of service to the PGA, golf and the community. He was on both the Section and National Rules Committees, was President of the Long Island Chapter and the Metropolitan PGA Section, served on a number of Committees and was honored by the Nassau Heart Association for his leadership in their charitable efforts. Harry Cooper turned professional in 1923 after having been exposed to golf by his father who served as an apprentice to Old Tom Morris at St. Andrews. Cooper earned the nickname "Light Horse" for the speed with which he played and the demeanor that he carried while competing in tournaments. Cooper began winning substantial regional tournaments at age 18 and never looked back, racking up 31 wins on the PGA Tour. He also claimed the inaugural Vardon Trophy in 1937. Although he was unable to win a major, Light Horse Harry Cooper was a force. His resume includes 20 top ten finishes in major championships. 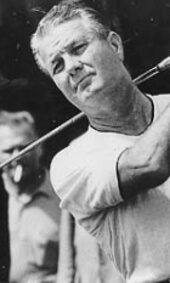 Cooper was also the 1955 Met PGA Champion. He was named the Met Section’s very first Professional of the Year in 1956, was Teacher of the Year in 1990 and won the Sam Snead Award in 1981. After his PGA Tour career ended, he became the head professional at the Metropolis Country Club and ended his club professional career as a teacher at Westchester Country Club. Like so many of the professionals of the era, Wilfred "Wiffy" Cox got his start as a caddie at Westchester County Courses, taking advantage of early morning and late evening playing opportunities. Cox’s PGA Tour record includes nine victories. 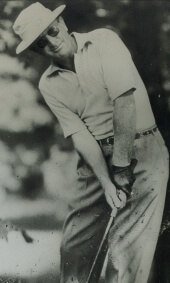 He played in more than 20 Majors including 5 PGA Championships and 11 US Opens, with his best major finish a tie for third at the 1934 US Open and a 12th place finish in the 1937 Masters. He was a member of the 1931 Ryder Cup team that beat the Brits at Scioto in Ohio. 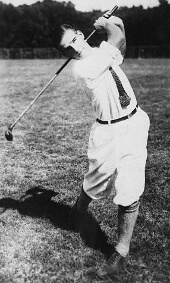 Cox had a perfect 2 & 0 record, winning both at foursomes and singles in what was then a two-day event Cox was the head professional at Dyker Beach Golf Course from 1921 to 1935 before moving to the head professional’s job at Congressional Country Club. Tom Creavy was born in Tuckahoe, New York. 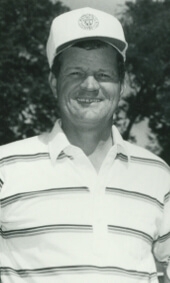 The son of a carpenter and one of seven children, Creavy learned golf as a caddie and first worked as a professional at Bonie Briar in the Met Section. A fierce match play opponent, and somewhat a child prodigy, Creavy topped US Open champion Johnny Farrell in the quarterfinals of the Met PGA Championship at age 17 at Farrell’s home course, Quaker Ridge. He won the 1931 PGA Championship at Wannamoisett Country Club at age 20. He played in 11 major championships, including the inaugural Masters in 1934. Creavy was also the head professional at the Albany Country Club and Saratoga Spa. Creavy was also a respected teacher whose pupils later in his career included Tommy Aaron. 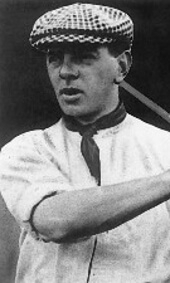 Bobby Cruickshank first rose to prominence in reaching the semi-finals of the 1922 and 1923 PGA Championship, losing both times to eventual champion Gene Sarazen. In 1923, Cruickshank also lost in a playoff at Inwood Country Club in the US Open to Bobby Jones, a win that helped catapult Jones to a legendary career. He was also the runner-up in the 1932 U.S. Open. Cruickshank won 17 PGA Tour events and finished 16 times in in the top-10 at major championships in his career. Cruickshank was runner-up in the qualifying at the very first Metropolitan PGA Championship and went on to lose in the semifinals while playing out of the Progress Club in Westchester. His greatest year was 1927, when he won the Los Angeles and Texas Opens and finished as the leading money winner for the year. He last won on tour in 1936. 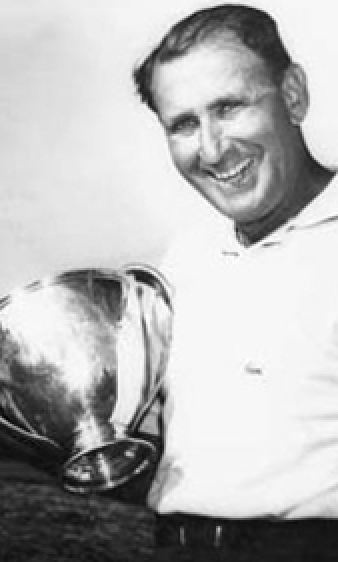 Jimmy Demaret won 31 PGA Tour events in a long career between 1935 and 1957 and was the first three-time winner of the Masters. In perhaps his best year, Demaret won the Masters, the Vardon Trophy and was leading money winner in 1947. 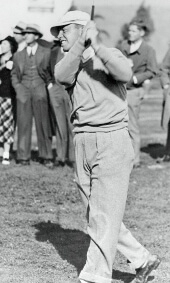 During his outstanding career he played in 13 PGA Championships at Match Play winning 63% of his matches, never lost a Ryder Cup match and played in 17 US Opens with a runner-up finish in 1948 his highest finish. Demaret played on three Ryder Cup teams: 1947, 1949, and 1951 and totaled 24 Masters Championship appearances. Demaret was affiliated with The Concord Resort and represented them extremely well in regional events. He was elected to the World Golf Hall of Fame in 1983. In 2000, he was ranked as the 20th greatest golfer of all time by Golf Digest magazine. Clarence Doser was born in Rochester, New York in 1909. He grew up near the Rochester Country Club where his uncle and Walter Hagen were the co-professionals. 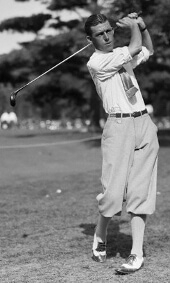 In 1925 Doser turned pro and became a PGA member at age 16. He was a PGA member for more than 70 years. In 1937 he came to Philadelphia as the assistant at the Merion Cricket Club where he stayed for three years. Doser played in 21 PGA Championships, 19 U.S. Opens and three Masters Championships. When the PGA Championship was still played at match play he made it to the semi finals once and the quarterfinals once. 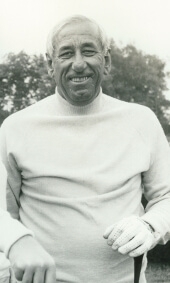 Doser won the Western New York PGA Section Championship four times, the Metropolitan Section PGA Championship three times and the Middle Atlantic PGA Section Championship twice. Because of the strength of the field his three Met Section titles were considered the equivalent of wins on the PGA Tour at that time. Doser finished his career at Scarsdale and is a member of all three of those PGA Sections Halls of Fame.